Cornerstone Collection at Willowcreek in Auburn Hills Gated Enclave | Private Amenity and Master Plan Amenity | Three Homesite Sizes | Four Collections of Home Designs | Picturesque Trails and Pond Welcome home to Willowcreek in Auburn Hills, where a relaxed lifestyle meets resort-style amenities in the perfect location that is close to everything. The private, gated enclave of Willowcreek offers residents access to the pool and amenities both behind the gate and in the larger community of Auburn Hills. A short drive away are both the historic downtown McKinney Square, with its quaint antique shops, charming restaurants, and thriving arts scene, and also the world-class shopping, dining and entertainment venues in nearby Frisco. Move up to relaxed luxury in a new home in McKinney in Auburn Hills. 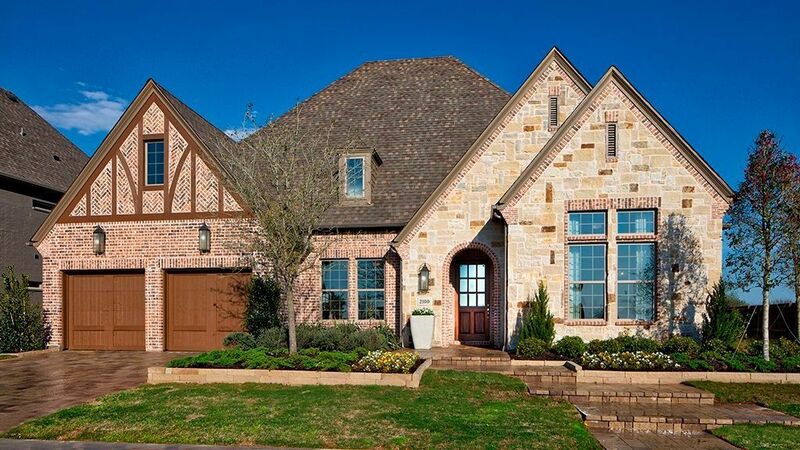 Darling Offers:Seven one- and two-story floorplans with flexible optionsLiving spaces from approximately 3,000 to 4,300 square feetHomesites approximately 70’ by 130’ standardTraditional, English Tudor, and French Elevations Schedule your tour of our model homes in McKinney today! This page is for the Willowcreek 70' homesites featuring the Cornerstone Collection of traditional Click below to explore the other collections offered in Auburn Hills: Willowcreek 55' homesites featuring the Sanctuary Collection of patio homes and the Founders Collection of single family homes. Willowcreek 60' homesites featuring the Keystone Collection of traditional single family homes. Click Here to View Homesite Availability and More on Our Interactive Site Plan Take Advantage of our Rate Roll Back & Save Thousands Over the Life of Your Loan If your dream home and ideal lifestyle is in Auburn Hills in McKinney, Texas, 2019 can be your new home year! Our Rate Roll Back makes it possible–and it's now better than ever.